Management leaders were managers on their way to leadership. If you must succeed in leadership, management skills are necessary. 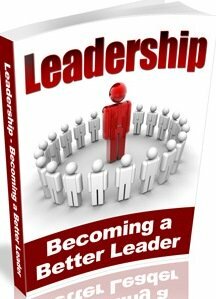 There have been many situations in which managers have been mistaken for leaders and placed in leadership or managerial position but were unable to function in leadership. This has frustrated the purposes and objective of their organization, community, business and family. Therefore in other to succeed in management positions, leadership skills are necessary. This post is designed to help you discover and apply your leadership skills and qualities in management positions. Management leaders have their purpose, vision and dreams in conjunction with someone else vision and using their resources and people, to fulfill organizational and personal vision. 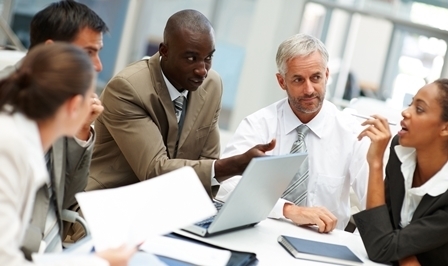 Management Leadership is the ability of a leader to coordinate and keep control of all the resources needed to fulfill personal, business or organizational goals and vision. 1) A leader has his own vision (even when it is carried out within someone else vision) and he uses the resources of the organization with integrity in order to accomplish his goals. 3. The leader creates trails; he becomes the instrument of change in the environment, organization, school or business. 4. Leaders discover a sense of purpose for their life, business or organization. In other to become an effective management leader, you must closely monitor these major areas of your administrative duties. A leader identifies talents, gifts and maturity levels (including strengths and weakness) of those whom he is leading. Next he determines the best place for them within the organization, business or group. These abilities are the key to maximizing people's contribution to the vision and to assuring leadership productivity. Leaders help to bring harmony to the social structure by selecting good people, placing them to win, clarifying responsibilities, giving opportunities for gifts to be exercised, monitoring progress, providing guidance and rewarding positive contribution. For instance one of Ronald Reagan's strength as a leader was his ability to identify people with great talent and place them in key positions and give them the opportunity to contribute their experience and gifts in fulfilling a worthy cause. In other words he found people with skill and experience to fill in areas where he lacked skill or experience. A leader needs to be faithful steward of the financial and physical resources he oversees. A steward is someone who looks after somebody else's property. Use your resources in the best interests of your God giving vision and learn to make them productive so they yield good returns. leaders use the resources allocated to them in fulfilling the vision of the organization, business or company and not use it to fulfill their lives with luxuries. When a leader learns to take control of his or her life, they can effective implement the organizational vision. In order to coordinate all his resources, a leader has to engage in planning. He cannot merely identify his purpose; he also needs to design a plan to take him to his destination. Before and during the process of carrying out his vision, a leader needs to plan the involvement of the people and material resource that are needed. In doing so he needs to prepare for both the short term and the long term. As soon as you have a clear vision in mind, assess the needs of the vision and determine what you require to carry it out now, next year and next ten years. Management leaders have their purpose, vision and dreams in conjunction with someone else vision and using their resources and people, to fulfill organizational and personal vision. Most leaders were manages on their way to leadership, it is usually a natural path of progression.